Since the day we started in 1991, Subdynamic has been performing video inspections in sanitary, storm and water lines. Over that time, we have also performed inspections on empty conduits, and other unknown pipes in need of verification. 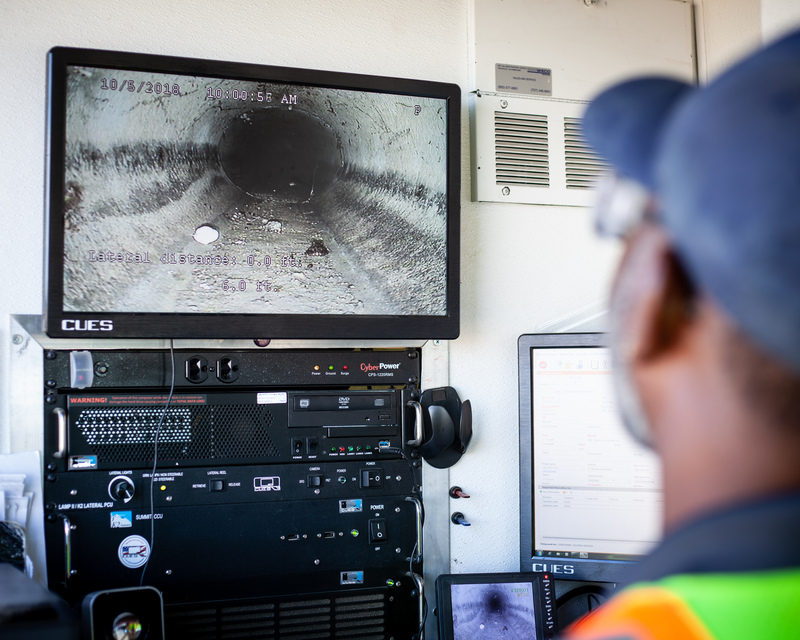 Our mainline crawler camera can be used to inspect main line, manhole to manhole sanitary and storm lines with pipe sizes ranging from 6 inch to as much as 30 inches in diameter. 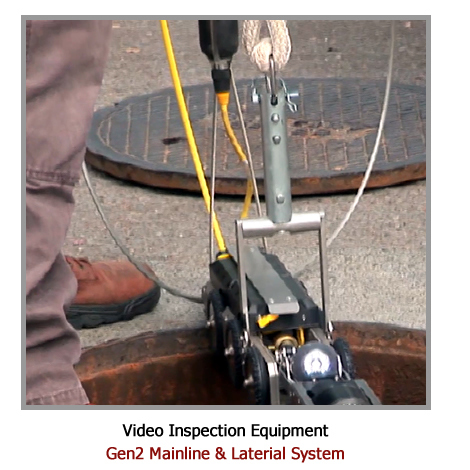 Plus, our CUES Lamp 2 video inspection crawler is equipped with a lateral launch camera that can be inserted into laterals from inside the pipe. Launches in all laterals with or against the flow in 6″ pipe and larger! Lightweight / Compact Wheeled Unit! Pulls 1000 ft.
Subdynamic has the capability to inspect smaller sanitary and storm laterals from the property out to the main city service line. Our video inspection crews are equipped with up to date, 2 inch through 6 inch Vivax Metrotech video cameras, that both record the inspection, and give us the ability to locate the location of the camera above ground. Each camera is equipped with a transmitter that allows our crew to trace and locate the area of concern above ground. If you have additional questions concerning our video inspections, please contact us. We would be happy to assist.